We strongly advise customers read Section 18 of our Dash Cam Buyers Guide regarding choice of Micro SD cards for Dash Cams. Categories: Accessories, DOD, Vicovation, BlackSys, Lukas. 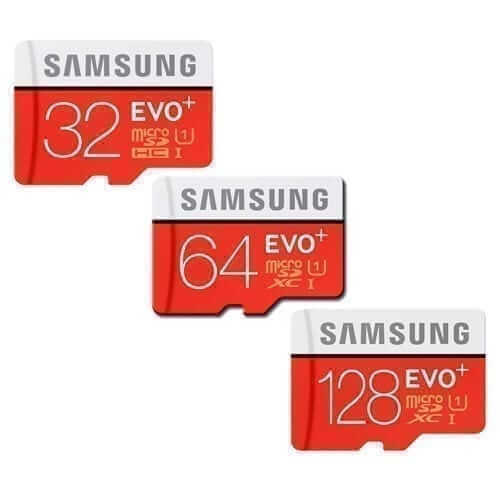 Samsung EVO+ Class 10 Micro SD Cards feature extremely high quality components, flash memory and UHS-I support. 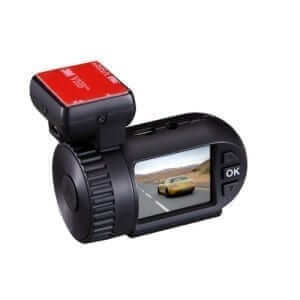 Have confidence buying your Micro SD card from us, knowing it is 100% genuine and will not cause functional or physical damage to your Dash Cam. Ensure the memory size of the Micro SD card is supported by your Dash Cam. Always format the Micro SD card prior to first use to ensure correct compatibility with the Dash Cam. Formatting should always be performed in the Dash Cam via the menu settings (click here for instructions on how to format your Micro SD card). Formatting the Micro SD card should be performed on a regular basis, generally every 3 to 4 weeks, to ensure the card and Dash Cam are performing correctly. Formatting will delete all files off the SD card so be sure to back up any files you need. Don’t swap your Micro SD card between multiple devices, keep one Micro SD card dedicated to your Dash Cam. The table below provides an approximate guide on the recording times achieved with various sized SD cards vs recording resolutions. Recording length is also influenced by other features like bit rate, FPS and GPS logging. Once the SD card fills up with files, loop recording will automatically write over the oldest files. Note that for 2-chanel Dash Cams the total recording time below is split between the front & rear Dash Cams.